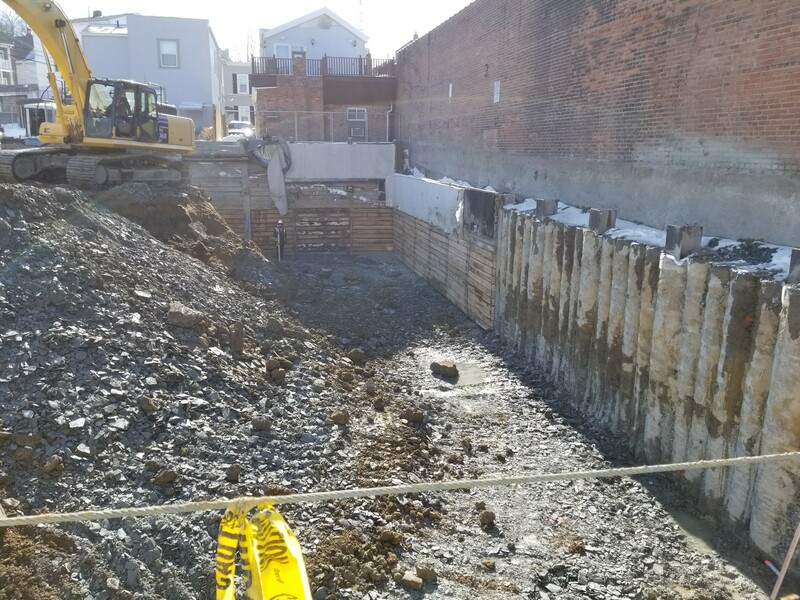 Grout Systems was contracted to install approximately 580 lineal feet of an Excavation Support System. Excavations ranged from 15’ to 25’. Several different methods of Earth Retention were implemented due to the confinements of the site. Power lines, adjacent structures, existing Earth Retention and the new constructions’ close proximity to adjacent structures all added to the difficulty of the project. Adjacent to Mayfield Rd., spliced, Cantilevered Soldier Beams with wood Lagging were installed in a Low Headroom condition under power lines and around utilities. 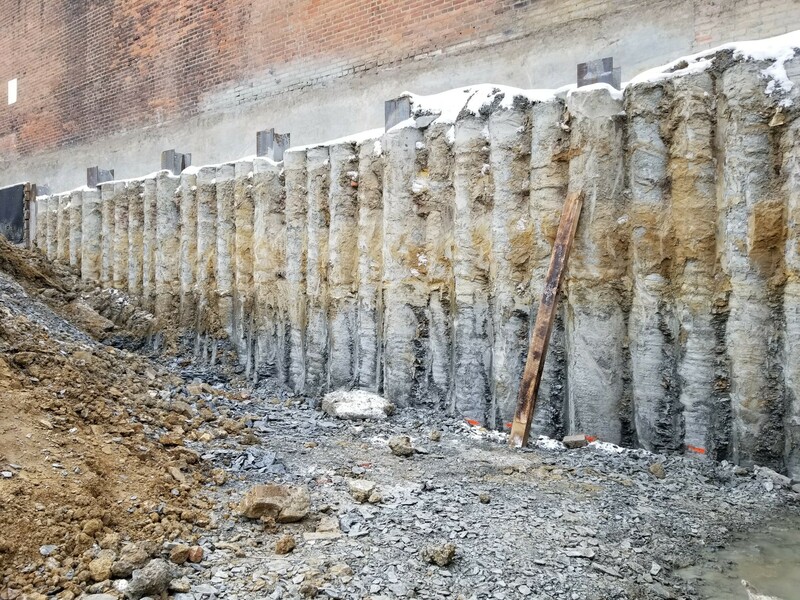 A Tangent Auger Cast Pile Wall with Tie-Back Soil Anchors was installed within inches of adjacent structures with shallow old foundations. Soldier Beams, Tie-Backs and Lagging were used where undermining was not of concern. Haunches were welded to the Soldier Beams and extended under competent footings for support. 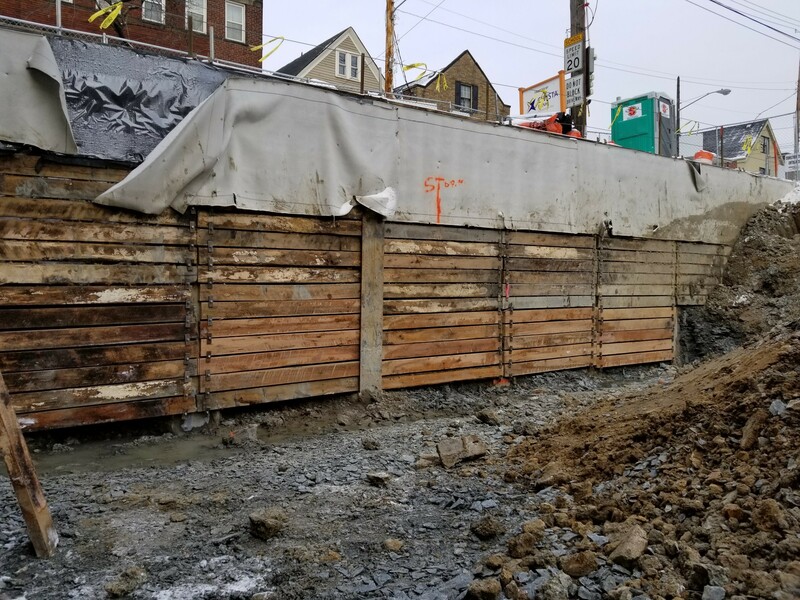 There was an existing Tangent Auger Cast wall that was discovered after the onset of construction, in which we utilized a Shotcrete and Soil Nail system that covered and supported the old wall. 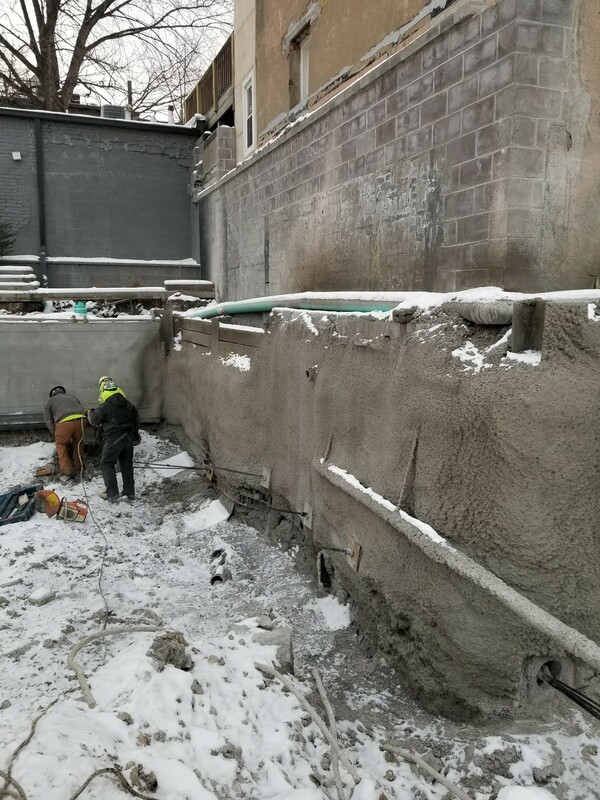 We are particularly proud of this project because it is a perfect example of our ability to adapt and conquer difficult situations throughout the course of the work.